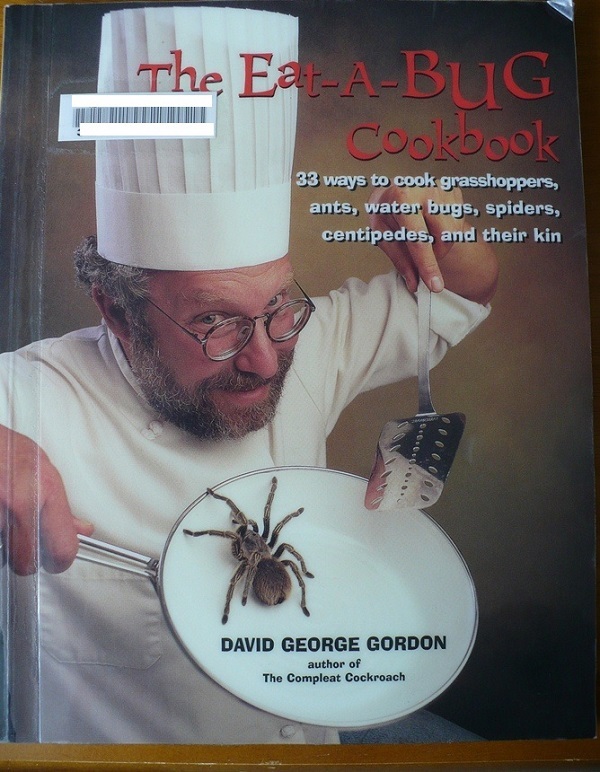 Submitter: This cookbook found on the shelves at my local library is not a joke… Although with recipes names like Larvae Latkes, Cockroach ala King, Pest-O, Sweet & Sour Silkworms & Party Pupae, I have to wonder whether the author loves puns just as much as he loves cooking bugs. Not familiar with which bugs to eat? There is a handy reference page listing the seasonal availability of edible arthropods. Yuck. Holly: This book is totally cool! I can see kids absolutely loving it, even though it is meant for adults. I mean – ick – but for a public library this is actually a cool choice! 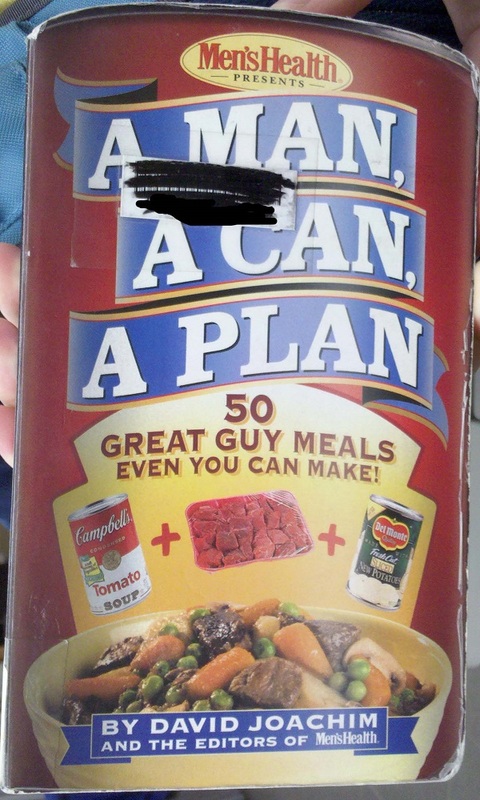 Mary: Now I have some ideas for the next staff potluck. 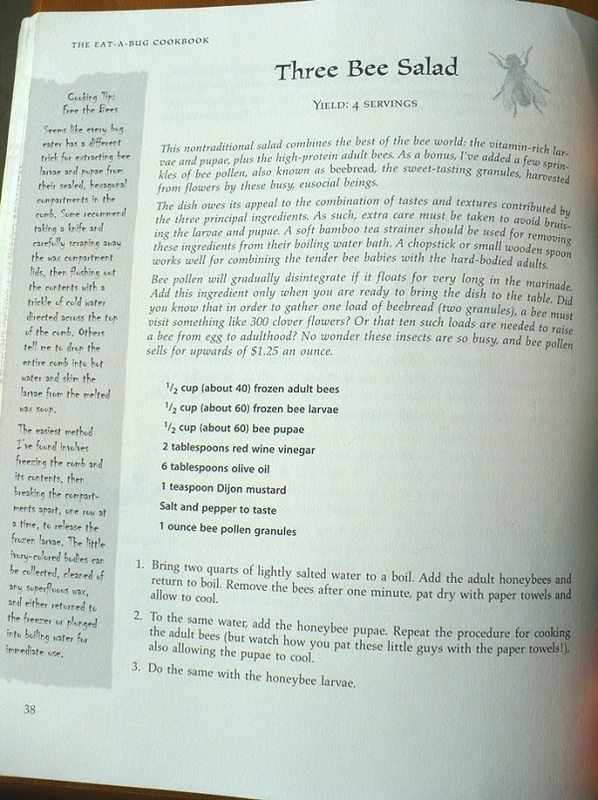 Looked at one of the recipes and now wondering, can you buy frozen bees or does the book explain how to do this? I don’t know if you can buy them or not. I was looking at the part of the directions where it says to pat them dry with a paper towel. I think that would take a long time! Hey, UNESCO might like this. They were talking about eating (properly cooked) bugs as a way to help with world hunger. O and “water bug” is a notorious euphemism for cockroach. Poor people had cockroaches, the well off only had water bugs. When I traveled to China as a chaperone for a school trip, we ate scorpions, starfish, and a spider that looked like the one pictured on the cover of the East-a-Bug-Cookbook. OK, I just ate the scorpion. It tasted like the garlic oil and salt with which it was prepared. I hope the submitter isn’t implying that this should be weeded–this looks like an excellent text on many levels and useful for all the reasons already outlined. A timely find: saving the world by switching to bugs as our main protein source is a concept that has been in the news more and more lately. 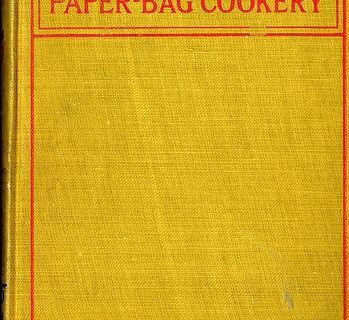 This is a book for reviving, not weeding. The book could be promoted in displays with copies of various recent headlines. Besides the UNESCO report, there is the story about the future potential of producing food using 3D printers – some of the inputs would be bug-derived. Yeah, if it ain’t chicken, fish, or cow I’m not eating it. Bugs aren’t kosher. Except for the kosher locust. More to the point, humans have been intentionally devouring insects for the vast majority of our existence. From an environmental perspective, I’m glad to see a return to this. 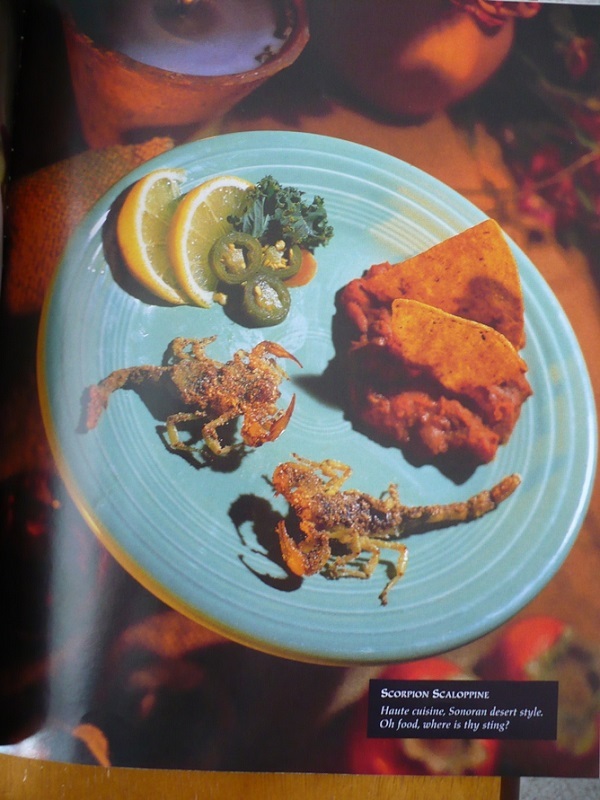 Also, spiced Mexican grasshoppers? Delicious! 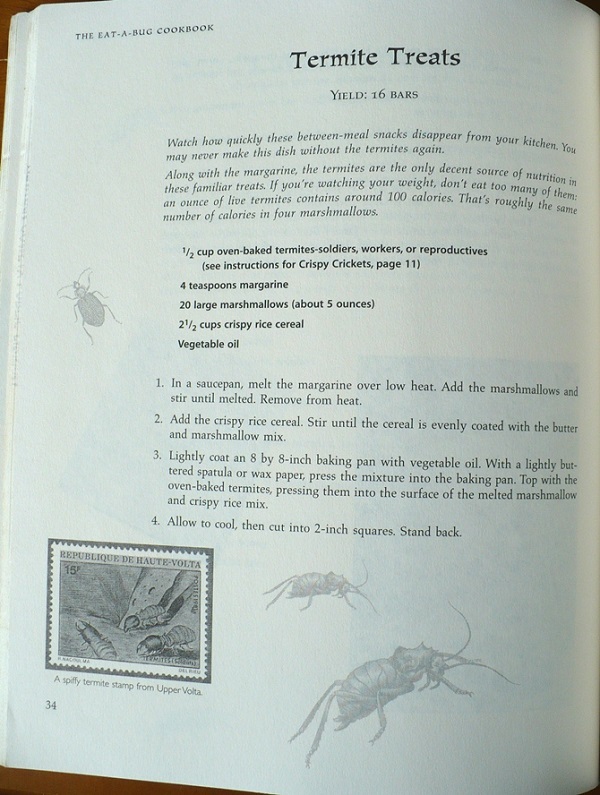 And an afterthought – eventually this book might become out of date – because edible arthropods are readily available at the supermarket, and the 1998 information on how to obtain them – I assume the book covers this – will no longer be needed or relevant. Eating bees! They work for us (without knowing it, OK, but still). They should be off limits. Nothing that funny should be weeded if there’s room. Move to the kids section. the boy’s love it. Awesome Fiesta plate. Fiesta Geek here. I know it’s extremely sensible and low-fat, but I. Just. Can’t. I can’t even eat seafood with legs, because they look like spiders. There is a new edition! 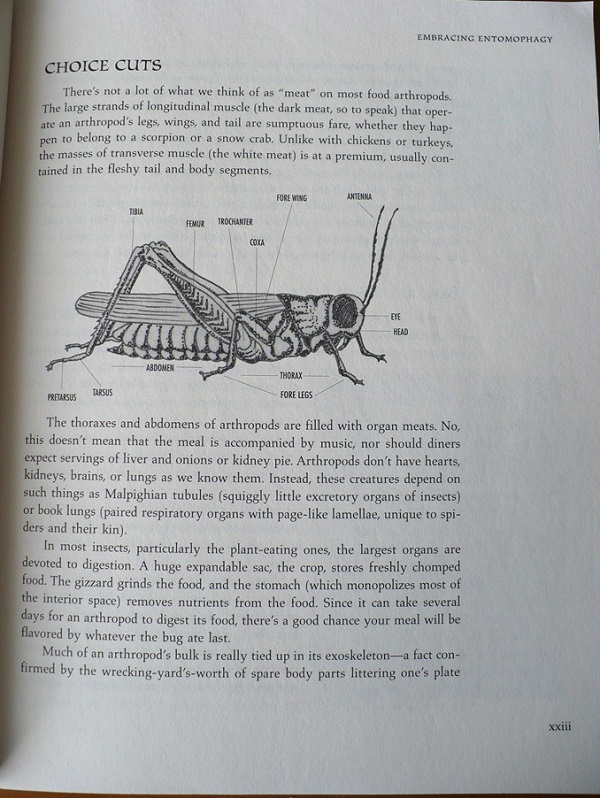 The Eat-a-bug Cookbook : 40 Ways to Cook Crickets, Grasshoppers, Ants, Water Bugs, Spiders, Centipedes, and Their Kin / Gordon, David George ISBN 9781607744368. Also, how is eating bugs any less gross than eating chickens and cows? They actually have fewer hormones & other evil things, are freely abundant, full of protein, they don’t use resources to produce them, and they don’t produce methane! There was a New Yorker article recently on someone trying to market grasshopper steaks. And the new edition is going to have cool illustrations b y the author’s wife. Thsi was great for the summer theme we had several years ago of “Catch the reading bug at your library”. 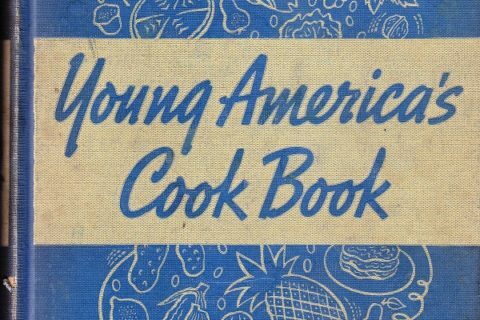 I also put on an Edible Bugs program (where we, yes, ate bugs). But by now, difinitely get the updated version! I purchased this book for my elementary library earlier this year! A student was very interested in edible insects, and this book was pretty much the only title on the topic that I could find. I think it’s been checked out a couple of times, in fact!